Why worry you might get bleach on your favorite dark towels? Our bleach-resistant black hand towels are specially made to hold up to an accidental laundry slip, spill or splash. You get peace of mind and incredible value at a terrific price. 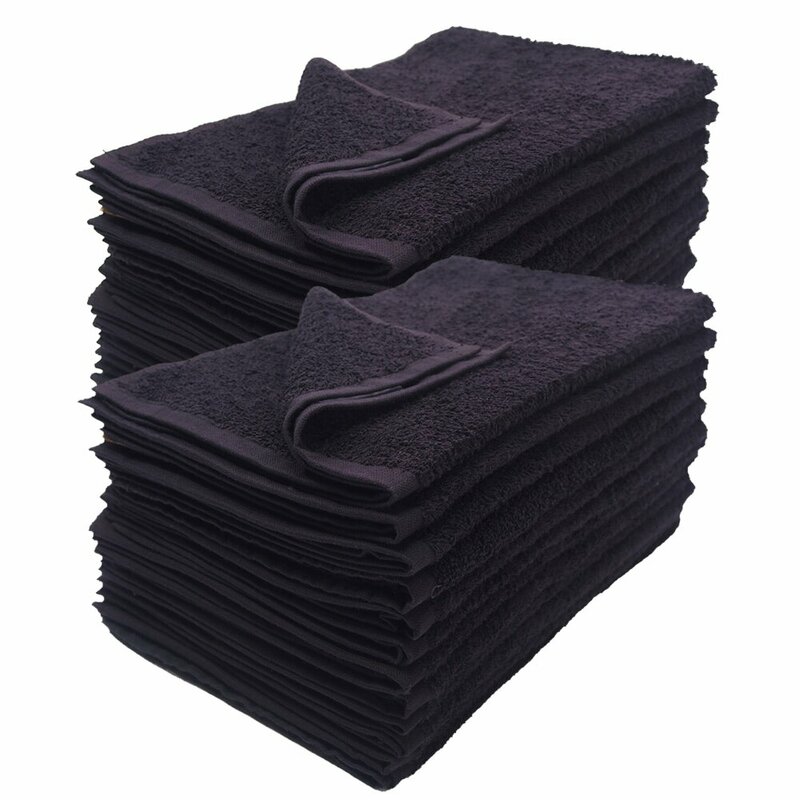 Towel Super Center offers black, bleach-resistant hand towels in units of one dozen. The more units you need, the more you’ll save per towel. Be sure to get enough for every use. You won’t want to be without a handy towel! Cotton feels great against the skin. Even people with sensitive skin, such as infants and toddlers, appreciate the cuddliness of cotton. After every wash, they fluff up beautifully in the dryer, leaving you with a cozy way to get your hands or face dry. Cotton is an all-natural material. Is buying only earth-friendly products important to you? You’ll appreciate that our black, bleach-resistant hand towels come from natural cotton plants. Cotton resists odors. Have you ever had hand towels in your master bath or guest powder room that started to smell musty? They probably weren’t made from 100 percent cotton. Cotton is an incredibly breathable fabric, which makes it dry rapidly. And the faster it dries, the less time bacteria have to build up in and around the material. Cotton resists stains. Along with odors, cotton hand towels will resist most stains. This includes bleach for these particular towels. Cotton holds up under normal wear and tear. Who wants to buy hand towels every few months because of pilling, fraying or tearing? Under normal usage, you can expect your black bleach-resistant hand towels to last. Discover why Towel Super Center has become the go-to place for smart home shoppers. You can find all the towels and related products you need in one place, then have them shipped right to your door. Remember that we offer several colors and styles of towels, so you can stock up without overspending. fast delivery, nice and thick towels great for the price, works well with bleach, will buy again!